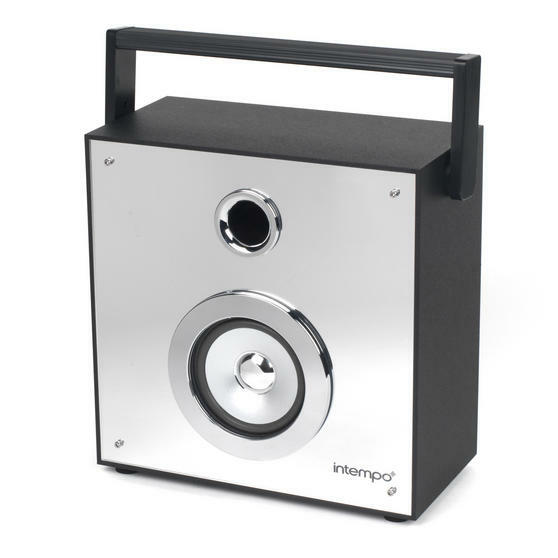 Featuring a stylish mirror effect and colour changing LED lights, this versatile Intempo portable speaker is ideal for your desk, bedroom or taking on the go. Simply connect your Smartphone, tablet or MP3 player with the aux. 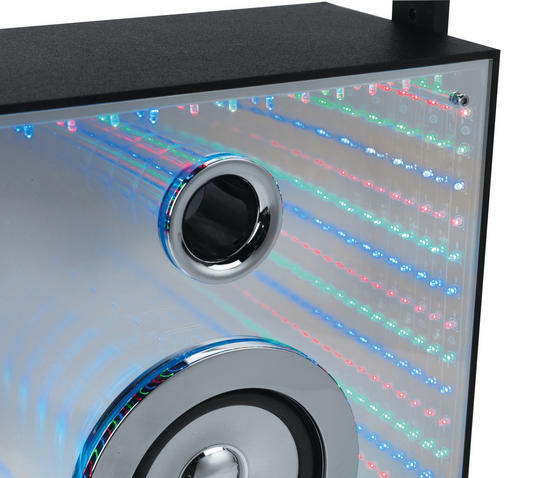 cable or wirelessly using Bluetooth and enjoy great sound from the front 6 W speaker. 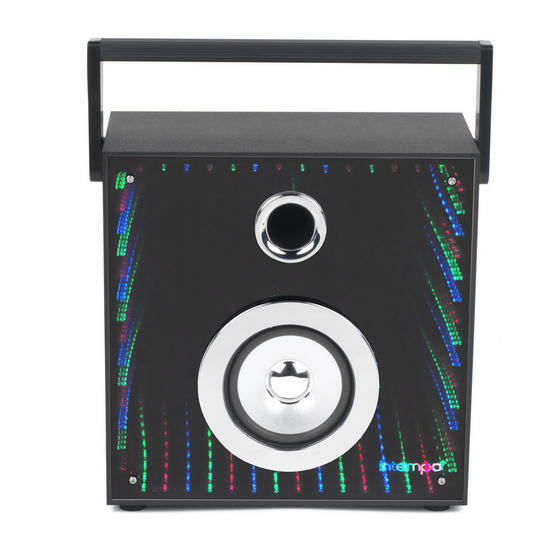 The responsive light mode moves the LED lights in time with the music for a brilliant effect, while the top handle and rechargeable battery enable you to carry the party with you. 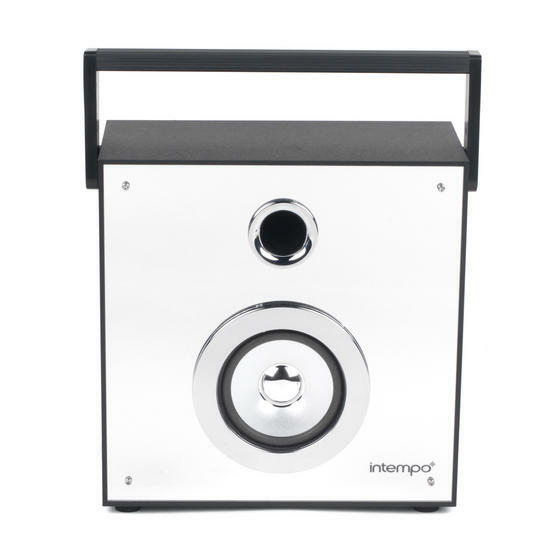 Enjoy your favourite songs with this Intempo Mirror Speaker featuring LED lights which move to the beat to create a funky atmosphere. 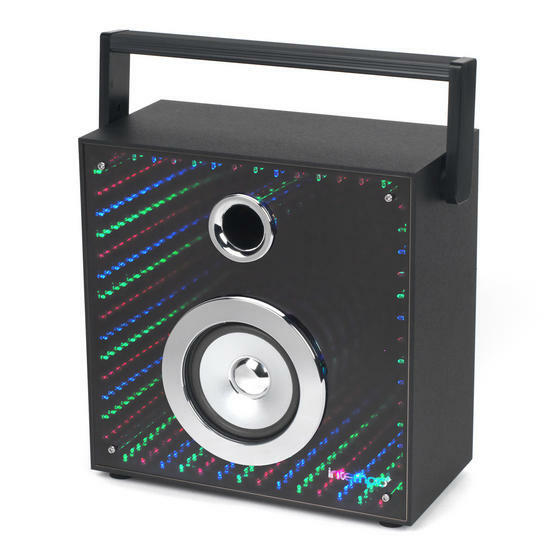 With sleek styling, a rechargeable battery and a top carry handle, this portable speaker is the ideal accessory wherever you are. The Bluetooth technology enables you to pair your smart devices wirelessly with the speaker so you can easily control the music. It comes with a 3.5 mm stereo jack input cable for effortless connectivity and a USB charging cable which can plug into your computer. 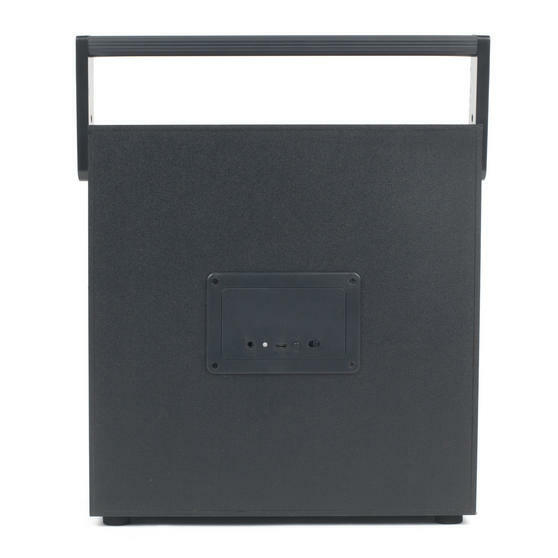 Measuring just 29.4l x 14w x 33.3h cm, it is compact and lightweight so you can carry it with you to enjoy great music everywhere.